In 2018 we extended our farm shop to include a brand new deli offering cured meats, speciality cheeses, homemade pies and pates. Come and take a taste adventure by visiting the Gibson's Deli. 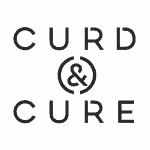 Curd & Cure is a family run Food wholesaler operating out of the heart of Kent. Working closely with producers both locally and across the globe, they offer an extensive range of carefully selected artisan food products. Exceptional food isn’t just their drive, it’s their passion! We carefully select and only work with companies who share this same ethos, as we believe this love and passion will always reflect through the quality of the products they produce. he story begins in 1967 with the young Anthony Rowcliffe resolving to change British attitudes to cheese. Having discovered artisanal cheeses from small producers at a French market, he set off in 1966, armed with his best school boy French to sell red wax English cheeses in France. Returning with quality speciality cheeses from all over Europe he went on to conquer the UK market and the cheese available today is thanks to Anthony’s campaign to champion and support small producers. We still uphold his values and our buying team munches and tastes frequently to ensure our range is ever evolving. Although Rowcliffe is known foremost for its unrivalled selection of cheeses, the range of products has increased significantly from those early days. The full offering now includes award-winning olives, the finest seafood, quality charcuterie, butters, olive oils, vinegars, luxury food and UK exclusive products. The team also relentlessly drives innovative new product development to shape and influence the industry.